A family-owned company, Olan Laboratories has made it its mission to provide the best quality beauty products and ervice to its customers for the past 30 years. 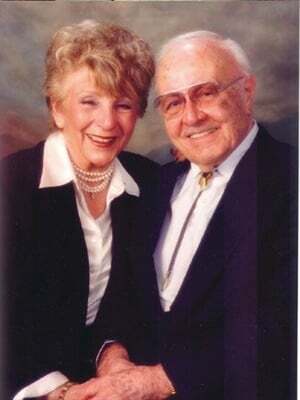 Founder and CEO Maurice Minuto (shown in photo from 1998 with his wife Olanda) established the company in 1979, naming it after his wife, Olanda. Today it remains a family business with Maurice’s son, Gregory, and Gregory’s business partner, David Bean, and Gregory’s wife, Lisa, at the helm. Olan Laboratories began as a company that specialized in antifungal products for the feet. It became a FDA-registered pharmaceutical manufacturer, selling medications to treat onychomycosis, an infection of the nail and surrounding skin. These medications were sold mostly to podiatrists at that time. After a few years, the company made a natural progression into the professional beauty and nail care business, utilizing their knowledge and expertise in this fi eld, although no longer manufacturing antifungal products. 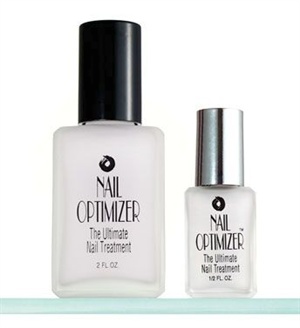 Its first beauty product was Nail Optimizer, a strengthener for natural nails that continues to be its leading product today. Other products currently on the market are Quick & Slick Top Coat, Base-ics Super Adhesive Base Coat, and Therapeutic Cuticle Oil. The company also produces COLOR, a 90-shade professional nail lacquer line that has always been toluene-, formaldehyde-, and DBP-free. Today, Olan Laboratories remains committed to offering performance proven, natural nail care products. It recently added OptiMax by Prolana, a natural extension of its existing product line that’s in keeping with today’s trend toward natural, healthy nails. Olan’s products are not sold in retail stores and they are never tested on animals. “The Olan family and their employees are proud of the quality and service they provide to their customers, and will stand behind the performance and quality of all their products,” says company president Gregory Minuto. The formula heals the fungus by penetrating the nail plate with coconut oil and a blend of other ingredients. In an in-depth interview with NAILS, pharmaceutical scientist Dr. Win L. Chiou discusses his nearly-50-year-long quest to beat toenail fungus and why he thinks he’s finally done it. In this month’s column, Dr. Stern discusses who is particularly at risk to contract nail fungus and what treatment options are available to those who do get it. Antifungal nail treatments that claim to prevent, treat, or cure a condition are considered over-the-counter drugs by the FDA. OTC drugs must be in compliance with the FDA’s OTC drug monograph. Designed to inhibit and prevent fungal infections under the nail, Footlogix #7 Anti-Fungal Nail Tincture has an easy-to-use applicator that allows the product to get right under the nail to the problem areas.